There is a new Mr and Mrs and this time, it is Chidi Mokeme and Rita Dominic that is set to grace our screens. Just like in 2012 when Chinwe Egwuagu premiered her Mr and Mrs movie. Everyone loved it and the word of mouth made it the highest selling Nollywood film till date. 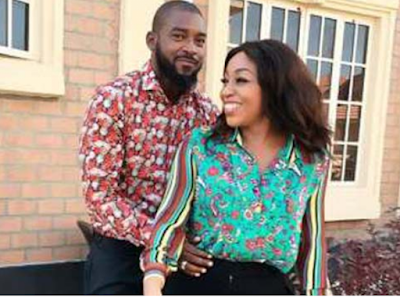 Mr and Mrs Chapter Two tell the story of a couple, Sharon (Rita Dominic) and Kobi (Chidi Mokeme) who attempts to tell a truth about some of the conflicts, confinement, independence, and struggles in marriages. The pursuit to keep their marriage intact and save their private lives led to the various dramatic and intense scenes that follow the story. The likes of Tana Adelana, Akin Lewis, Yaw, and Munachi Abii were also enlisted to help bring the story home. The Mr and Mrs Chapter two was directed by Teco Benson and is slated for cinema release from Friday, April 21, 2017. The movie has added another feather to its cap as it gets a premiere date in Kenya on Saturday, April 1, 2017.The movie will be shown to dignitaries, top government officials, celebrities and notable guests at the behest of the Nigerian High Commission in Kenya.